It’s easy to meet new squash players at our club. We have 10 members' leagues that are popular with players of all abilities, from those just looking for a social game to county-level players. 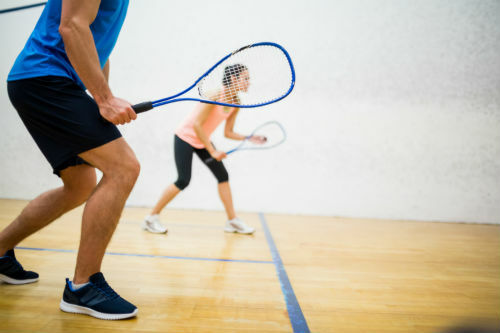 If you're new to the game, our Squash 'guru', Mike Skinner, will be happy to show you the basics so that you feel confident on court. Mark provides this service for free, so please contact us to arrange a suitable time for your first session. Members can book courts in 15-minute slots (45 minutes is our most popular slot). We ask for a £5 refundable deposit which you'll get back when the equipment is returned intact.